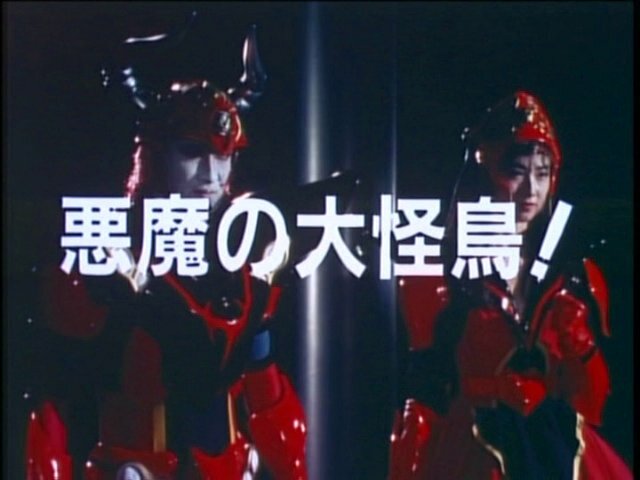 Turboranger had its first half concluded with a major retool -- it ended up killing the three main generals with the biggest bang possible. Zimba died, Jarmin died and Rehda died -- all the while leaving Ragorn with no one else but Zulten to be his scapegoat for whatever happens. The two episode arc introduces Yamimaru's alliance with a fellow Wandering Bouma -- Kirika! Though how Kirika remained an infant for thousands of years before aging normally is somewhat vague. So let's dissect this into two episode summaries. A new mysterious character arrives and it's one that makes me think, "Is this le guy that will eventually unite both le opposing rival teams, reunite le Lupin Collection together AND make both teams work together to save le world?" Looks like it's him and here's Noel Takao. Maybe, Noel Takao isn't really his real name -- maybe it's really Noel Lupin! But that's just my speculation! Le episode begins with a mysterious cloaked figure entering into some compartment. It's from le fine city of Paris! Fine wine, crepes -- he leaves all le French for Japanese. So what's a Japanese guy doing in France in here? I'd love to pretend that he's been part of le new Winspector branch in France but that's just impossible. Turboranger was suffering from ratings decline -- it's even safe to say that there was the concern it may not even last a year and payroll issues could have caused the midseason change. You can even safely say that it's where Super Sentai during the late 80s declined in spite of trying to introduce newer stuff. Well, innovation happens yet you have to admit you can't always be on top all the time, can you? I think the real issue was not that, "Teenagers with attitude is too sudden." Instead, I feel like the blame should go to overusing certain writers -- Hirohisa Soda himself was heading towards Burnout Ville -- not a very good sign. Turboranger was pretty new so wouldn't it have made more sense that you may need new writers now? This week's episode features le jerky superior Shinta Yanagami. I'm somewhat reminded of le time when Jetman had Ichijou or when Kenji Inui once wanted to abort GoGoFive until he saw le error of his ways. This episode had proven my last week's speculation wrong and there's something that meets le eye. 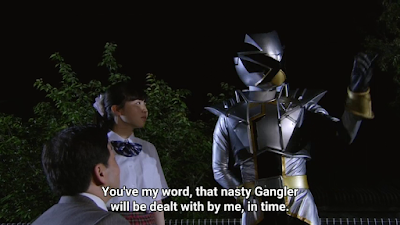 Le episode opens when what's obviously a Gangler (by its speech) is about to sexually harass someone. Sakuya shows off that he's a tough guy even out of suit. I guess he went soft for one reason -- le Gangler was in human form and you wouldn't immediately suspect him to be one, right? Sakuya saves le girl from being harassed. 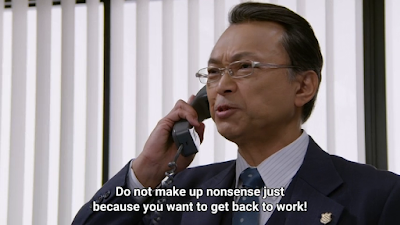 Commissioner Yanagami appears getting mad at how le Lupinrangers are causing so much publicity. Is it a case of jealousy or doing what's right? I was reminded of le conflict between Dr. Mondo Tatsumi and his frenemy Kenji Inui in GoGoFive. Sakuya thinks more about the group's character than its publicity. 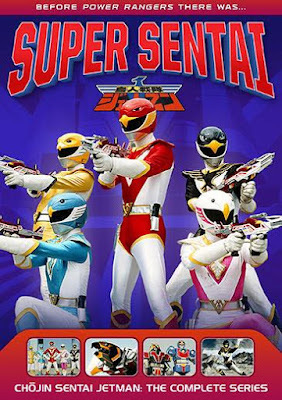 Jetman is already confirmed to have its Super Sentai DVD release on September 28, 2018. 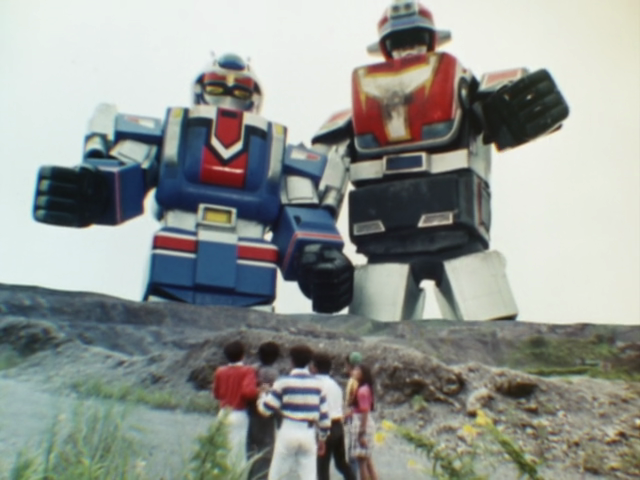 But why don't we actually dream of other pre-Zyuranger Super Sentai series (or other genres) that should get released sooner or later. Sure, we have Gaoranger which will inevitably lead to Hurricanger's DVD release. So I thought about it way back when I suggested alternate DVD releases. I. The following pre-Zyuranger Super Sentai series in the following order? Bioman could have been the first series that would have been the source material for Power Rangers. However, the American networks turned it down. I think it would be something if Bioman gets released on DVD. Could a Bioman DVD release from Shout! be a good thing? Well it's time for le weekly review of Lupinranger vs. Patranger once more. 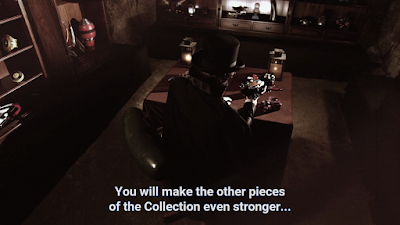 This time, it's about le Lupin Collection's secret. This is just le beginning as more mysteries may unfold soon -- considering that it's already the second half of 2018! It started out as "peaceful day" in le Patrangers' office -- that's until a giant monster attack happens. Man, don't you hate it just when you are about to have some fun then something terrible happens? Le Patrangers into le city only to discover you can't have this year's Super Sentai without le titular protagonists le Lupinrangers!